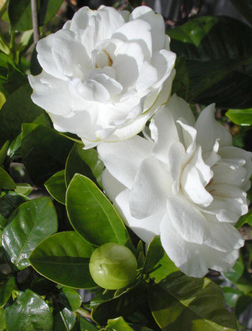 The irresistible large white fragrant flowers of the Gardenia explode with blooms from May to August under ideal conditions. 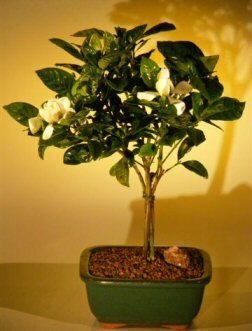 The tree has dark green waxy foliage and makes a beautiful contrast to the delicate flowers. Best to place outdoors in summer and fall for optimum blooms.